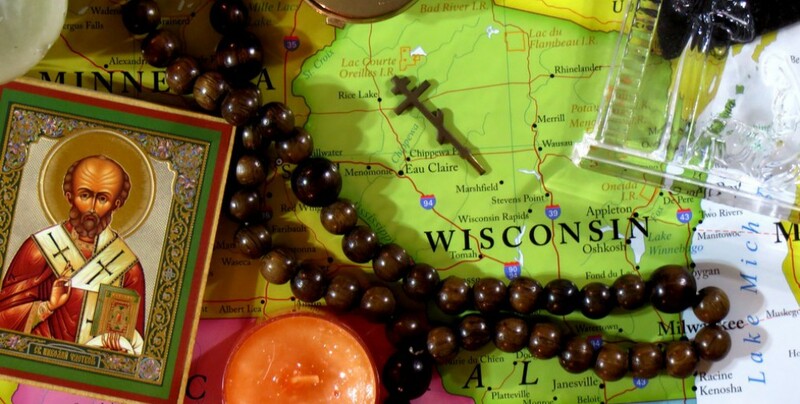 Church Women United is a multi-denominational Christian women’s group in the Milwaukee area which has been meeting since the 1970s to encourage people from various Christian backgrounds to be informed on social justice issues. 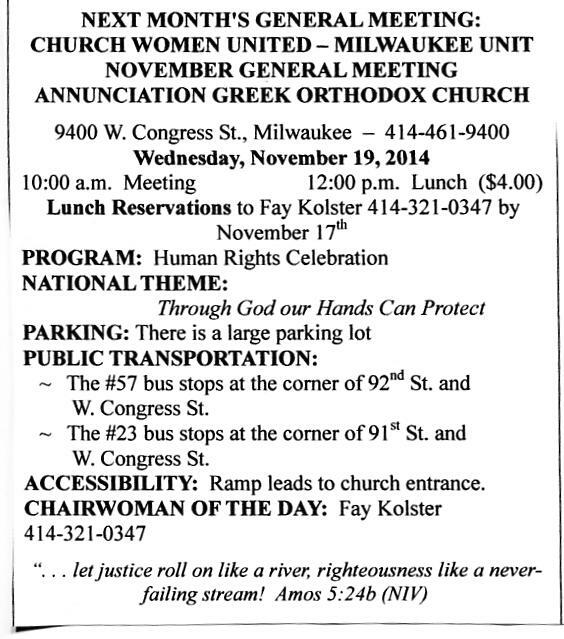 Their November general meeting will be held at Annunciation Greek Orthodox Church in Milwaukee. For information, please contact Fay Kolster at 414.321.0347 . The Orthodox Christian Women’s Association is presenting their 6th Annual Educational Conference. Rev. Father Angelo Artemas, Pastor of Annunciation Greek Orthodox Church, Milwaukee, Wisconsin, will be the kenote speaker. His presentation is entitled “Spiritual Inclinations from Infancy through Adolescence”. Breakout sessions will be presented by Presbytera Mary P. Hallick, ED.D. and Hollie M. Benton, M.A. Presbytera Hallick’s presentation is entitled “Children: Martyrs through the Centuries” and Ms. Benton’s presentation is entitled “The Exodus: What Does God Do With Young Adults Who Wander in the Wilderness?”. A continental breakfast will precede the presentations, and a luncheon will follow. The luncheon program includes a round of “Stump Your Parish Priest” as well as an award presentation. A variety of books and icons will be available from the St. Sava Serbian Orthodox Cathedral Bookstore along with exhibits on Orthodox Christian topics. In addition, OCWA items such as cookbooks, tote bags, and Presbytera Hallick’s books will also be on sale. Registration is $40 for OCWA members; $45 for non-members; $25 for students (18-25 years old), and $25 for lunch only. Checks should be made payable to OCWA. Registration deadline is Friday, October 10. Registration can be made by mailing in the attached form. For more information, please email us at ocwa.wi@gmail.com.